Summary: All Mrs. Large wants is five minutes' peace from her energetic children, so she heads to the bathtub for some well-deserved quiet time. But the kids want Mom to join in their fun, so they follow her wherever she goes! 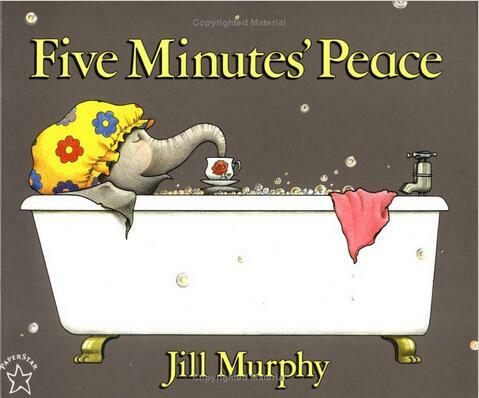 With a relatable dilemma and hilarious art, Five Minutes' Peace is a favorite among moms, and this new format will make it the perfect baby gift.